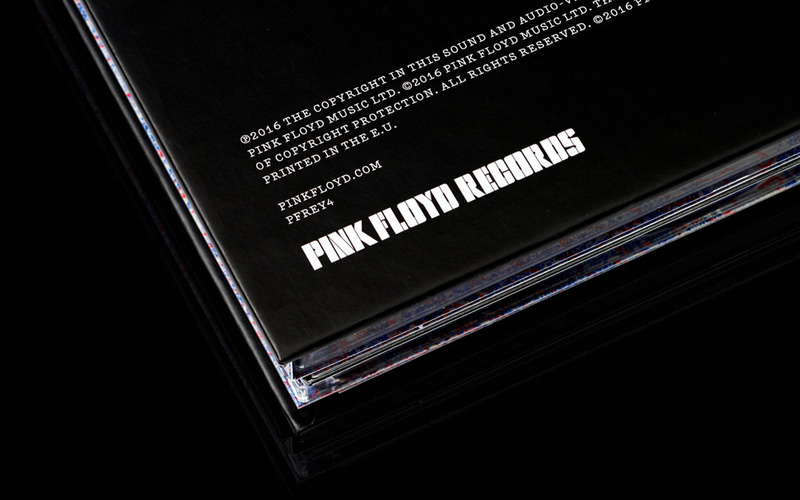 Aubrey Powell and Storm Thorgerson’s record sleeves for Pink Floyd are some of the most memorable of all time. Working under the name Hipgnosis, the pair’s surreal imagery inspired generations of designers and have become enduring symbols of the band’s music. 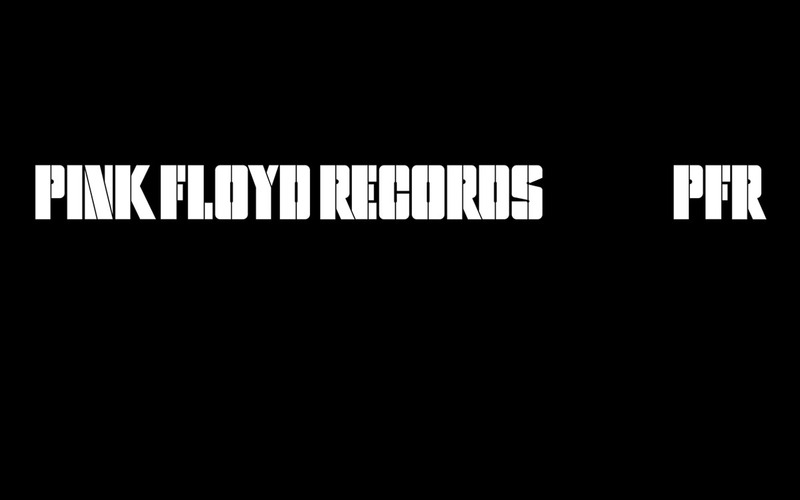 Think of Pink Floyd, and it’s near impossible not to imagine the prism on the cover of Dark Side of the Moon or the bright pink pig on the sleeve of Animals. 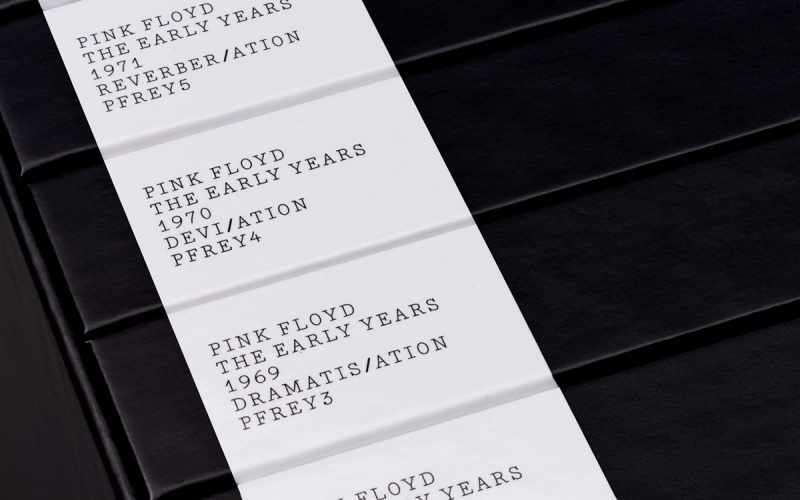 Pink Floyd’s music and visual output is the subject of a major retrospective opening at London’s V&A Museum in May. 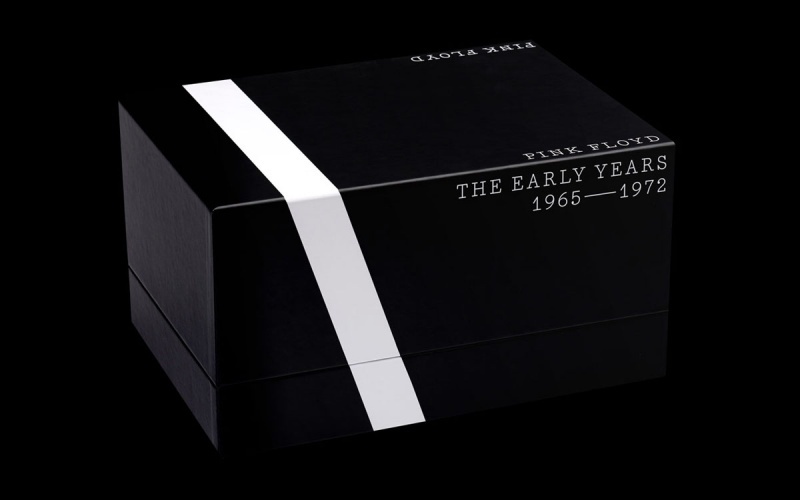 In November last year, the band released a 27-disc box set of early singles and recordings on their record label Pink Floyd Records. 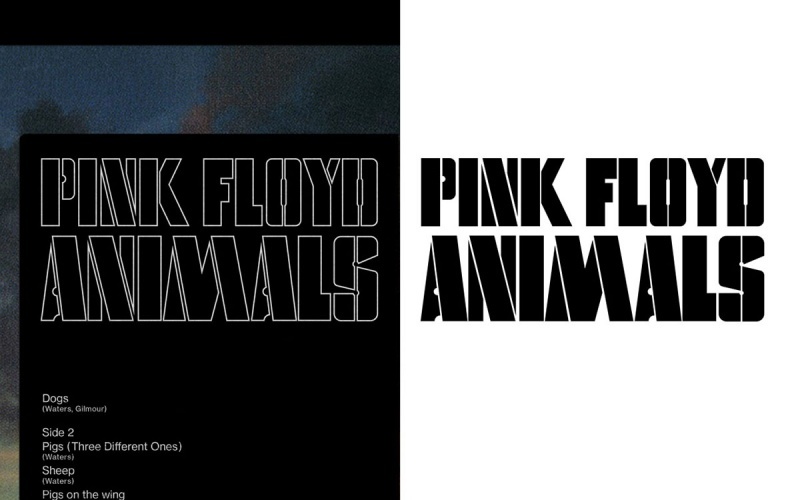 The identity for Pink Floyd Records was designed by Pentagram partner Harry Pearce and his creative team and is based on the stencil lettering from the cover of Animals. 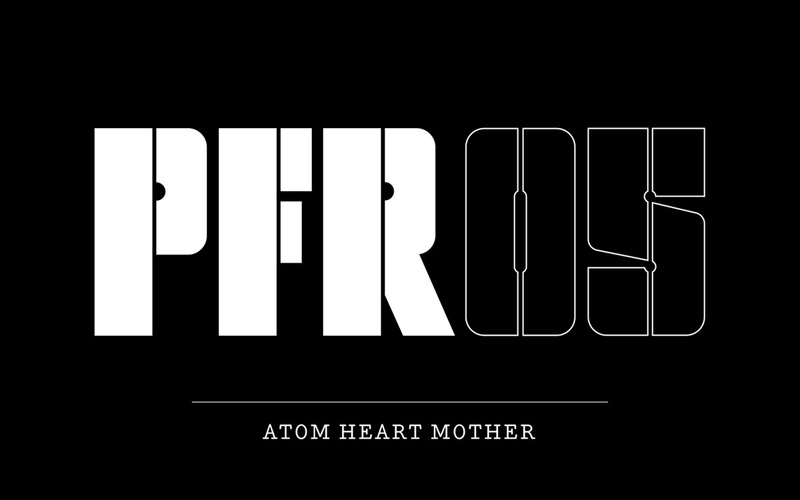 Designer Johannes Grimmond worked with Pearce to create a complete alphabet based on the original letterforms, giving the label a distinctive logotype. 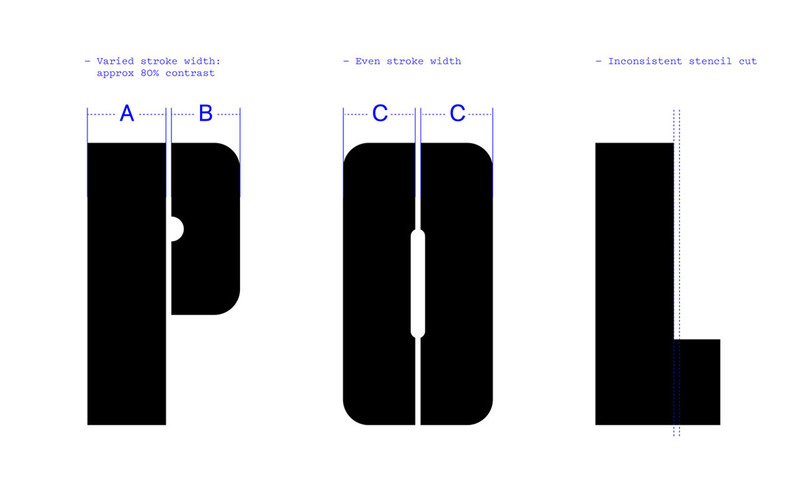 The alphabet can also be used as a headline font on new releases and merchandise. 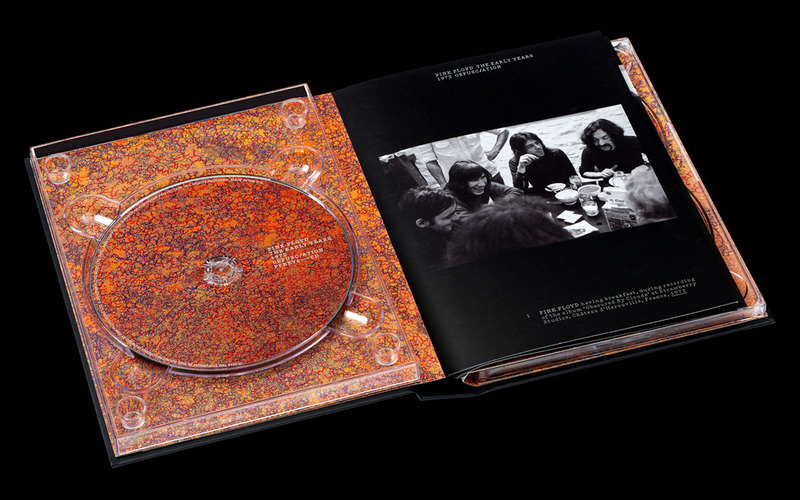 Pearce and his team also designed The Early Years 1965 – 72, which features early singles and previously unreleased recordings from Pink Floyd’s archives. 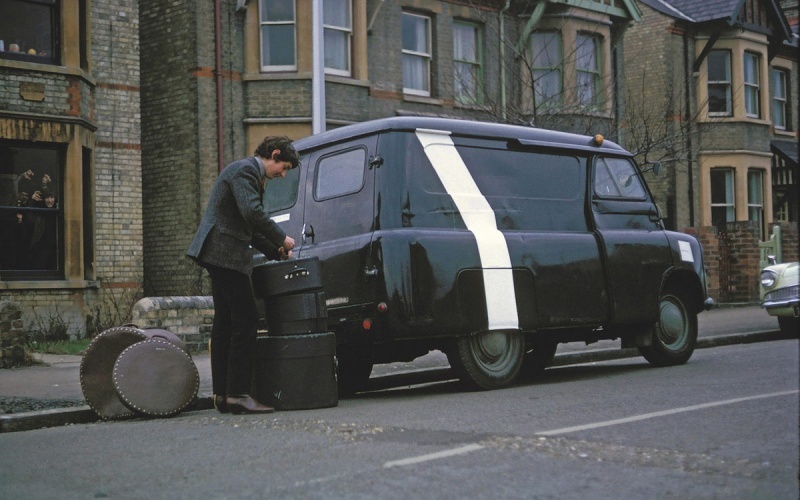 The black-and-white outer casing takes inspiration from the Bedford van that the band once drove around in (see gallery above). 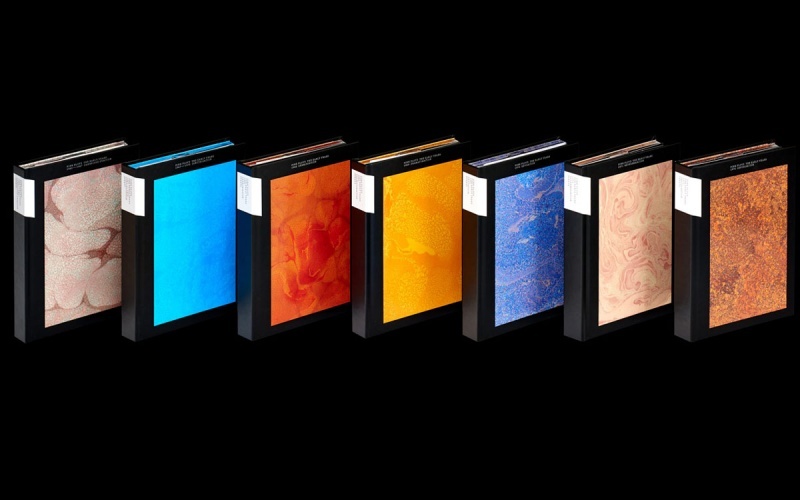 Discs are packaged in seven volumes – one for each year between 1965 and 72 – and each one features a painting by artist John Whiteley (an old friend of Powell’s) on its cover. Booklets contain lyrics and photographs from Pink Floyd’s archives, many of which have never before been published. The box set also features some lovely added touches. 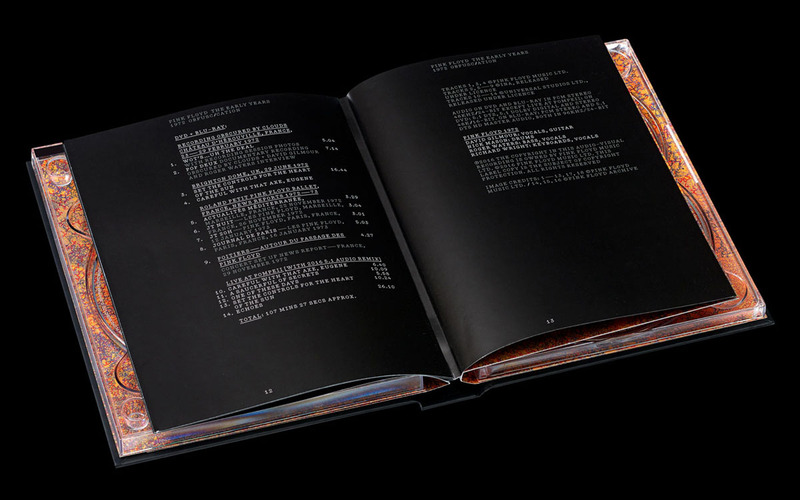 The spine of each volume bears a unique reference number and a word representing that year’s output. 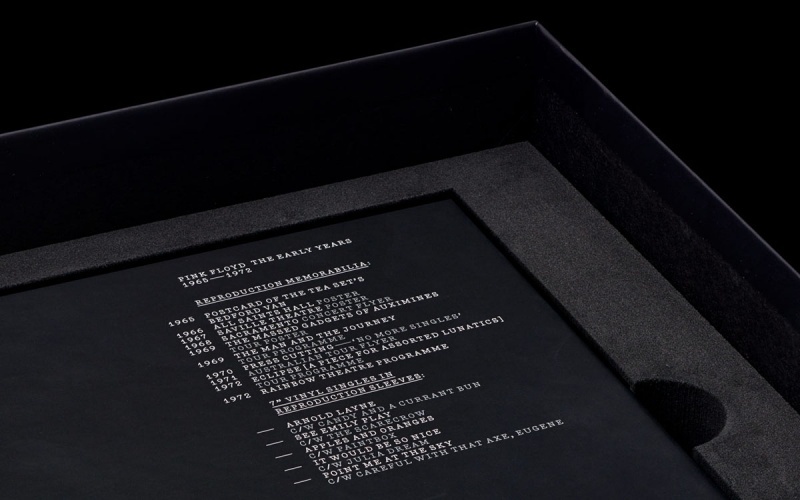 Roger Waters came up with the words for each year and each one is intercepted with a forward slash, providing another reference to the white stripe on the Bedford van. 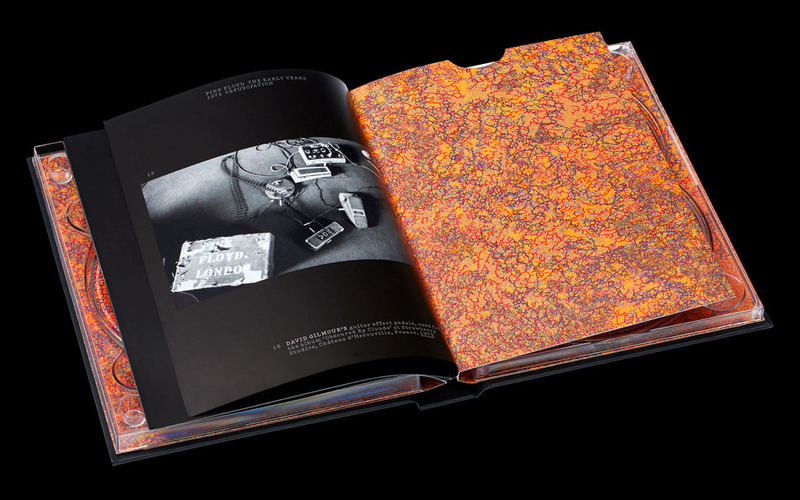 Pentagram worked closely with Aubrey Powell on the design of the identity and the box set. “He was a bit like our filter really. He’s so intimate with the band, we took his advice on the directions and ideas [that were presented to him] and he took them to the band. 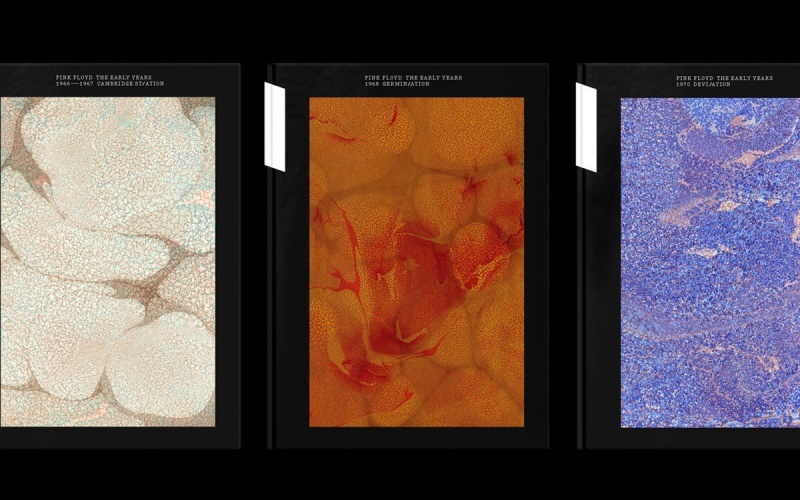 Him being a designer himself, it was a really sympatico relationship,” says Pearce. 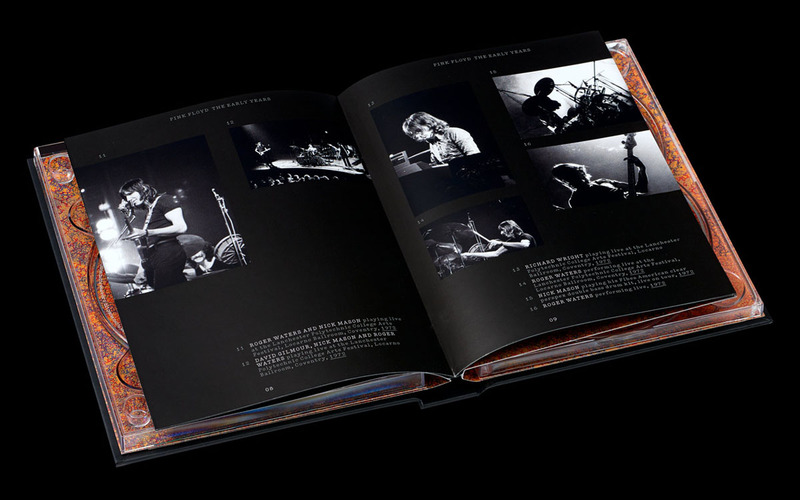 As a long time fan of Pink Floyd’s, Pearce describes the project as “a complete joy”. 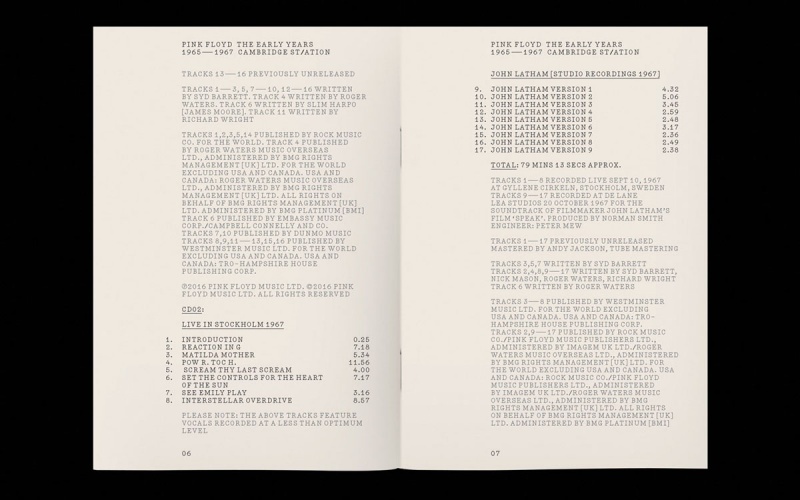 Pearce has also written an ‘outro’ for forthcoming Thames & Hudson book Vinyl. Album. Cover. Art: The Complete Hignosis Catalogue. 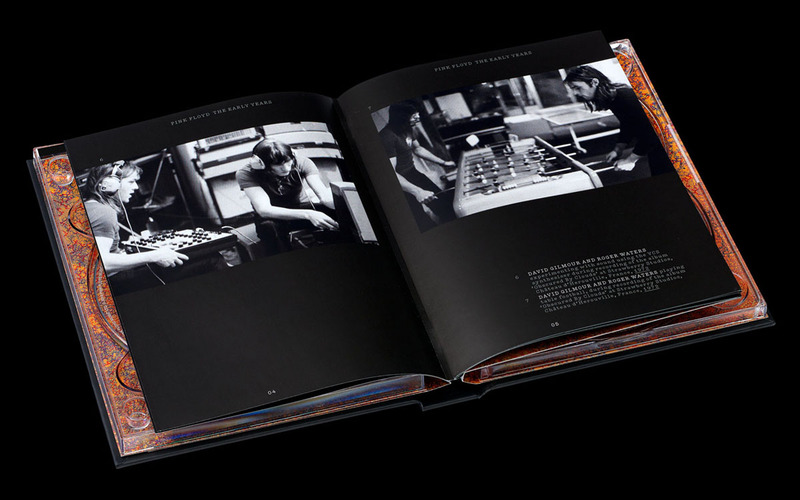 You can read our interview with Aubrey Powell about the work of Hipgnosis and his partnership with Thorgerson here.